James has over 20 years experience of working in insolvency, often acting on behalf of liquidators and trustees in bankruptcy. Advising the liquidators of a company on the liability of directors under the Companies Act who paid dividends to themselves totalling £325,000 at a time when HMRC was questioning the legitimacy of tax avoidance schemes the company had entered into. HMRC ultimately demanded tax payments of £389,000, causing the company to go into insolvent liquidation. Acting for the liquidator of a solicitor’s practice who sought to present an expedited petition and serve the same out of the jurisdiction on the solicitor/ director who had made off with hundreds of thousands of pounds of the company’s money. Advising a liquidator on the effect of a settlement agreement reached before the liquidator had become aware of additional payments made by the company to the directors before liquidation. Acting for the liquidator of a company supplying recreational vehicles worth £120,000 on whether the rules of set off would apply. James has over 20 years experience of representing companies and businesses of all types and sizes. He has represented sole traders and multi-national companies, shareholders and investors. Acting for a 50% shareholder in a manufacturing company, dismissed as a director and excluded from management. Acting for an optician and 50% shareholder in an optometrist business whose shareholding was fraudulently transferred out of his name and into the name of his co-owner. Acting for a 50% shareholder in a dispute relating to a hairdressing business where the relationship between the shareholders was complicated by the fact they were mother and daughter. Acting for the manufacturers of materials under Royal Warrant where one of the directors caused all of the stock and manufacturing equipment to be removed over the course of a weekend to an undisclosed location. 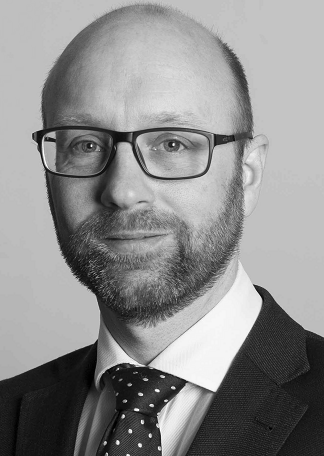 James has over 20 years experience of business and commercial cases including allegations of professional negligence and allegations of breach by directors of their duties. Advising and representing a house developer in a claim against an architect who, in breach of his duties, failed to properly supervise building works. The case settled for a significant sum at mediation. James Dawson considers the decision in Re C. & M.B. Holdings Ltd; Hamilton and another (Joint Trustees in Bankruptcy of Charles Newell Brown) v Brown and another company  EWHC 191 (Ch), where trustees in bankruptcy sought relief in relation to a company in which the bankrupt owned shares.